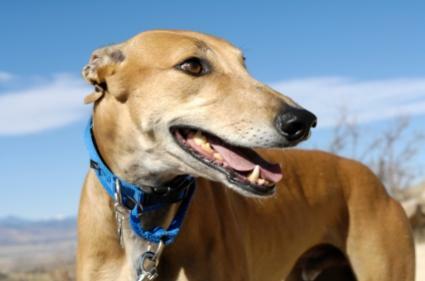 Greyhounds are popular rescue dogs. If you don't have adequate animal shelters in your area, or you'd like to make a difference for a specific type of animal, consider starting an animal rescue. The key is to start small, since it can become quite an unwieldy operation if you let your organization grow too quickly. Of course it would be nice if you could save all of the homeless animals in the world, but you need to bring those thoughts back down to earth for now. Start out by focusing on one breed of dog, saving death row animals from one shelter, housing only chinchillas, etc. You can always broaden your scope in time. It's best to begin with a type of animal you know something about. That way you are better able to deal with health or behavioral problems that often come part and parcel with animals being abandoned. Always check state and local laws to make sure it is legal to house the animal you plan to focus on. It will be very difficult to run your rescue entirely on your own. It's smart to recruit several volunteers to help you get your rescue off the ground and invite them to stay on as part-time workers, either paid or unpaid as funding allows. A good place to find people is through social networking sites that cater to socially conscious types, such as [www.razoo.com Razoo]. Also, attend local dog walks and pet fairs. Once you have the who, it's time to consider the where, as in where you are going to house the animals you save. Some rescues rely solely on foster homes provided by their volunteers, which is a perfect way to get on your feet. If you have a large backyard and adequate indoor and outdoor shelter, you may be able to run your rescue out of your home. This works best if you have a farm, not simply a townhouse with a quarter acre lot. The prime option is to buy a commercial property that is designed for housing animals. However, since you are just beginning your rescue, you may not be able to afford that just yet. If you want to accept donations to help you run your rescue, it's recommended to file for 501(c)3 nonprofit status. This will encourage people to give because their donations will be tax deductible. Filing is not that hard, but the paperwork can be confusing. It's best to speak to an accountant or lawyer during this step in the process. Another way to get funds is through adoption fees. Charging $100 per pet is normal and it can prevent unscrupulous adopters from getting their hands on the animals. Lastly, contact pet food companies, veterinarians and other animal related businesses and ask them for donations of products or services. Many animal rescues find their charges simply by going to the local animal control office and selecting dogs and cats to save. Network with other rescues nearby to learn where they get their animals from. They may even be overwhelmed and ask you to take an animal off their hands. Start out with fewer animals than you think you can handle and then grow slowly. You don't want to overwhelm your young rescue. It's not healthy for you or the pets. Once you have your animals, you need to find new homes for them. If you're a breed specific rescue, contact the AKC club for that breed, as many enthusiasts are happy to adopt homeless pets in their breed of choice. (You may even end up with a waiting list.) If your rescue is more general, put up a simple website stating you are starting an animal rescue and link it to a listing on petfinder.org. Also, contact local pet stores and see if they will help you sponsor adoption days. Of course, if the store sells pets, this probably isn't going to happen, but PetSmart and PetCo often let rescues use their facilities to recruit potential adopters. Make sure you screen these people thoroughly and have them sign adoption contracts before releasing the pets to them. If you're not sure what to say, look at some of the contracts other rescues use. .